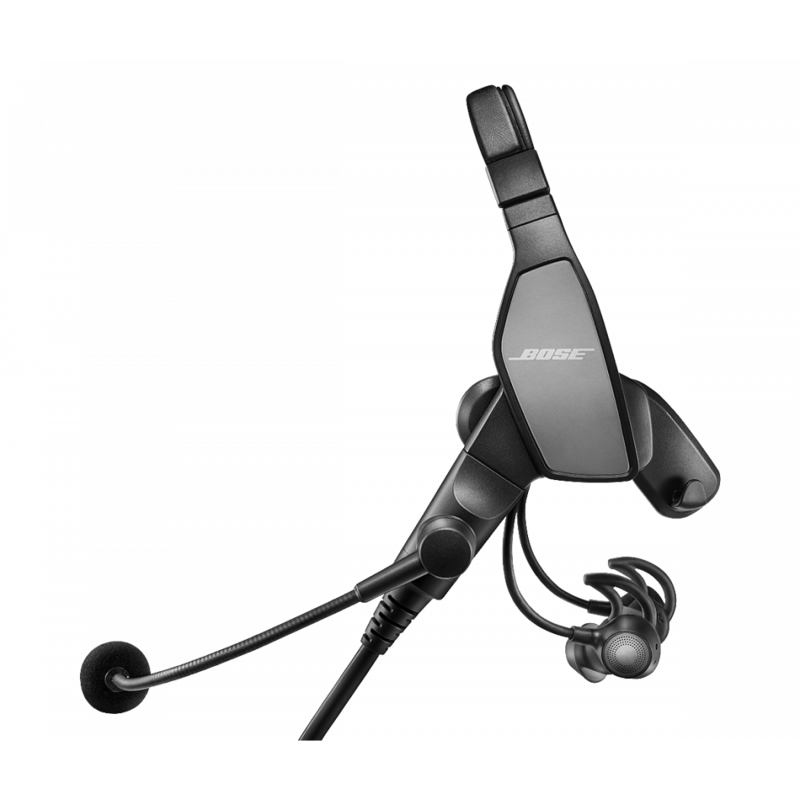 The smallest, lightest and most comfortable noise cancelling aviation headset ever from Bose. 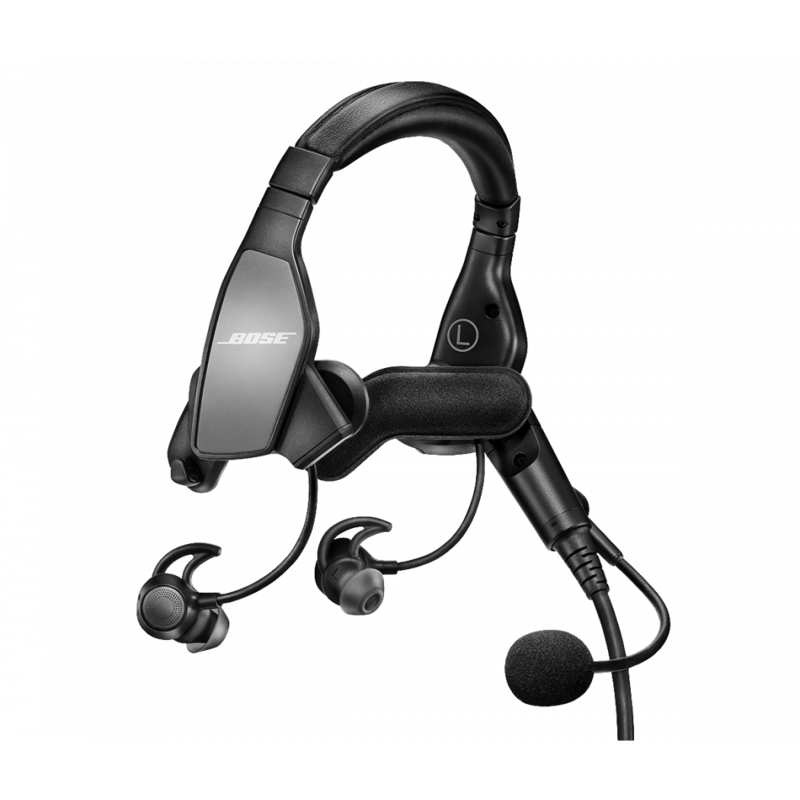 Lightweight, in-ear active noise cancellation for long term comfort over extended flights, with many new features designed specifically for airline and corporate aircraft flight decks. Twin plug model. Tap control for talk through communication: Double tapping either earbud allows for optimized voice communication outside the intercom. Significantly reduces ambient noise, allowing users to lower radio volume and hear what they need to hear. Three user selectable levels of noise cancellation allow for user preference and aircraft noise environment. Active equalization: Automatically shapes and equalizes the incoming signal for enhanced clarity and intelligibility. Electret noise cancelling microphone: Increases clarity and reduces background noise when transmitting.